(Leamington Spa): Sixth Chamber Press, 1987. Fine. First edition. 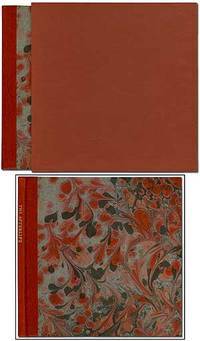 Quarter leather and marbled papercovered boards in slipcase. Fine. Copy letter L of 26 lettered copies Signed by the author (of a total edition of 201 copies). Scarce.